I might be busy these days, but I definitely couldn’t miss this ferocious track from my favourite Scandinavian rockers, Reckless Love. ‘Monster‘ is taken from the band’s new album, InVader, full of 80s inspired glam rock, reimagined with youthful energy and their usual upbeat spin. Watch the video below, and don’t forget, you can catch them on tour in the UK this month! Normally I’d be a little wary of a band who’s members have appeared in certain ‘talent’ shows, but apparently the musical quality in Scandinavia’s reality tv is a bit better than ours! That’s why I’m not ashamed to admit I’m a big fan of Sweden’s REACH, whose guitarist appeared in ‘Swedish Idol’ in 2014. If you’re not as convinced as I am, this lovely acoustic version of their single ‘Tell Me’ should do a lot to reassure you..
Finland’s ‘hottest’ exports, Reckless Love are back! If you’re not as excited as I am, you should be, because their new track ‘Keep It Up All Night‘ is another of their ear-worming heavy-rock party-anthem specials (and breathe..). 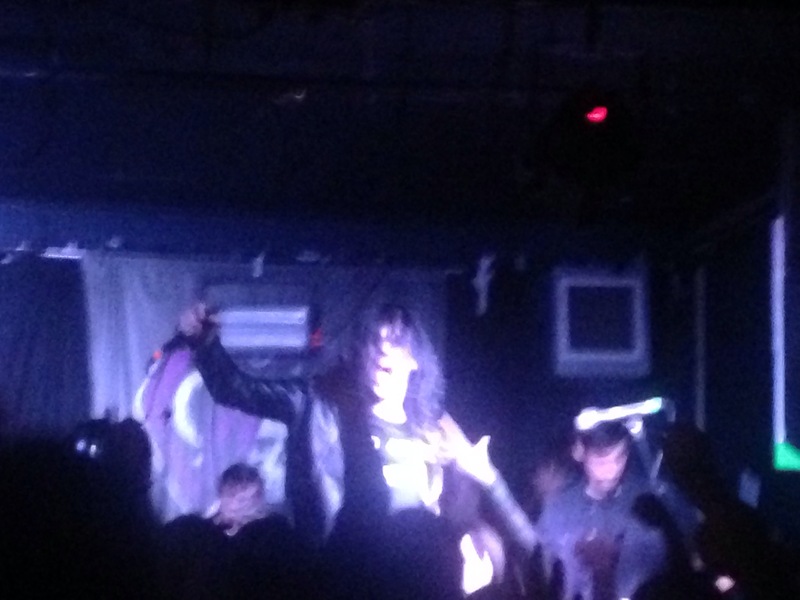 Shake out that hairspray, put on your best leathers and get dancing..
On Wednesday I was lucky enough to see Southampton horror rockers Creeper perform at possibly the last tiny show they’ll ever do, for The Callous Heart EP launch. With the sounds of Jim Steinman’s Teenager In Love, the band wore their matching jackets as they took their place on the stage. Tearing through track after track, the band finished with a heartfelt Love In Decline. They were called back to the stage though, for a final rendition of Novena. The James-Franco-approved southern rock enthusiasts, Alberta Cross (incredibly, from New York and not the deep south) are streaming their new single, Ghost Of Santa Fe, taken from their self-titled new album. Now I don’t pretend to be an expert on this kind of music, what with living in south-United Kingdom instead (although I have watched my fair share of Nashville..), but there’s a lot worse you could do with your time than settle down and give this band a listen.. US hard rockers Venrez like to mix a little psychedelica into their exploration of American foreign policies, which, of course, is never a bad thing.. Who said the younger generations aren’t interested in politics? Someone should have a word with them. In the meantime, you should definitely check out the below lyric video for the band’s new single, ‘Children Of The Drones’.